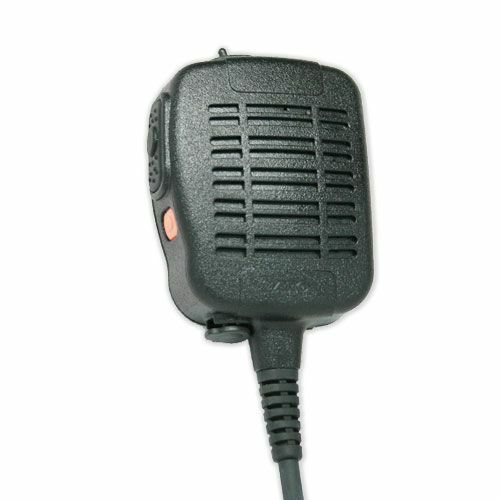 The S21 Series IP68 Waterproof and Dust-proof Speaker Microphone is designed with enhance durability for the fire, emergency response, public safety, law enforcement, military, and construction sectors. It is completely sealed and intrinsically safe for safe operation in hazardous areas by limiting the energy available for ignition. The enhanced durable and rugged polycarbonate shell can withstand the most demanding performance requirements and is fully sealed IP-68 water submergibility rated. The 26-inch cord is reinforced with rotationally wrapped Kevlar on the inside, and polyurethane casing provides the best outer shield. Positive tactile feedback when actuated and crystal clear two-way transmissions from our quality Knowles microphone. The 360-degree detent clip stops every 45 degrees for precise and secure placement. In addition, there is a 3.5mm audio output jack for listen only applications.